The past month has been a blast with the girls. I can’t believe I actually said that, but it has been refreshing from the grind that has been the past year of our life. They are officially toddlers in every sense of the word. They are 13 months old and I feel I have watched them transform from baby to toddler over night. Here is a quick update of the girls! 3. Food – They are having such fun eating big people food. What they can at least with only two teeth each. 4. 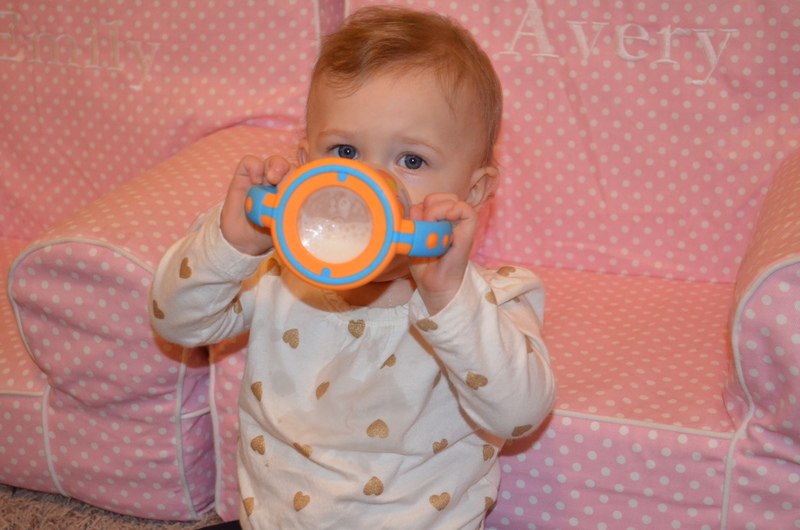 Juice – They LOVE juice and drinking from their big girl cups. We transitioned to milk a month ago and not only did we celebrate no formula, but now we wish we owned a cow. 5. Elmo – Emmie is really the only one who seems dedicated to the TV, but they all seem to watch it. I put a little DVD player in their room for those days they resist naps. I always look on the monitor and Cam and Av are asleep in two seconds and there is Em still watching away with her head on the rail of the crib with her monkey pacifier. Too cute. 6. Climbing – They figured out they can use me, Bryan and just about anything to boost themselves up on the furniture. 7. Stella – They have recently become more interested in our dog. They laugh hysterically at her just when she licks or comes close to them. Stella doesn’t care too much and leaves most times. 8. Tatrums – We have officially begun tantrum season. And I call it a season because like all challenges there is a season. And this too shall past, but may take a while from what I have heard. Emily will throw her head to the ground, Avery will whine and Camdyn will follow suit. 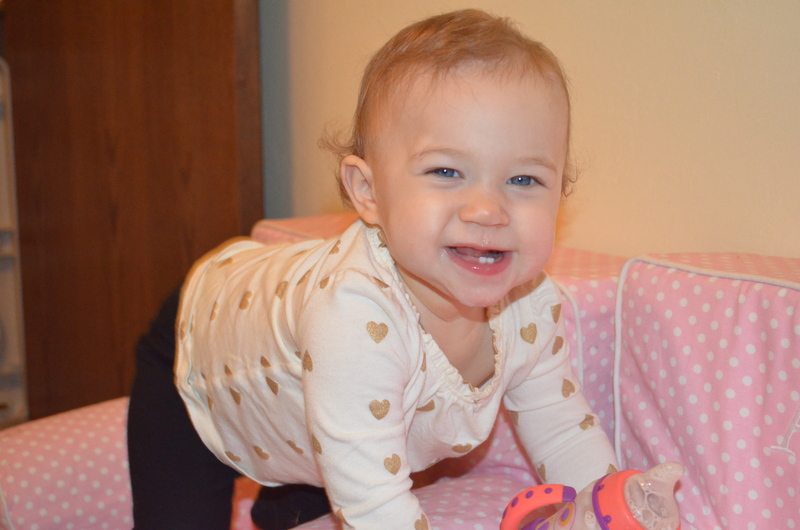 Avery – She is officially walking! She has always been our independent and confident one. She is the explorer and loves to test boundaries. Today we were outside and she went straight for Stella’s water bucket and had a blast splashing in it. She has also become a power lifter (Must get that from Uncle Grant) and started picking up all the toys, their stuffed chairs and their toy bins. I think just to prove she is a big girl! 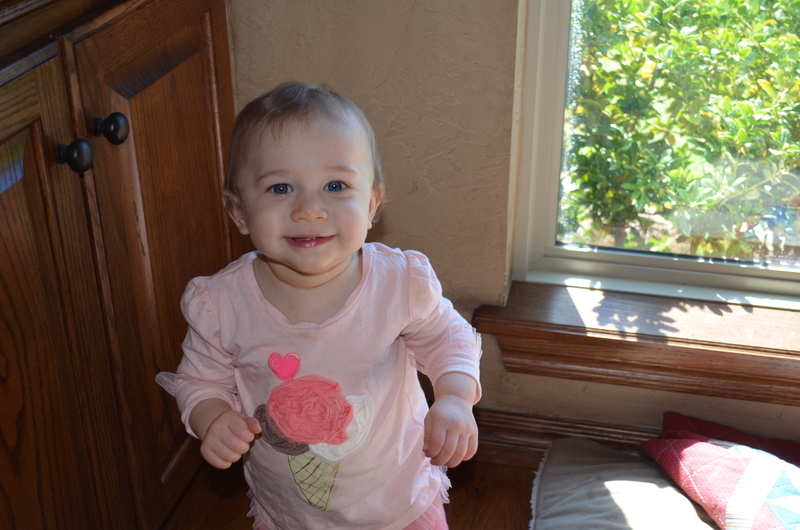 She has been working on blowing kisses (which I love) and LOVES to do patty cake. I love when she does the “rollllll’em all up” part with her hands. My guess is she weighs about 21 lbs. She has really blossomed into a precious fun girl. 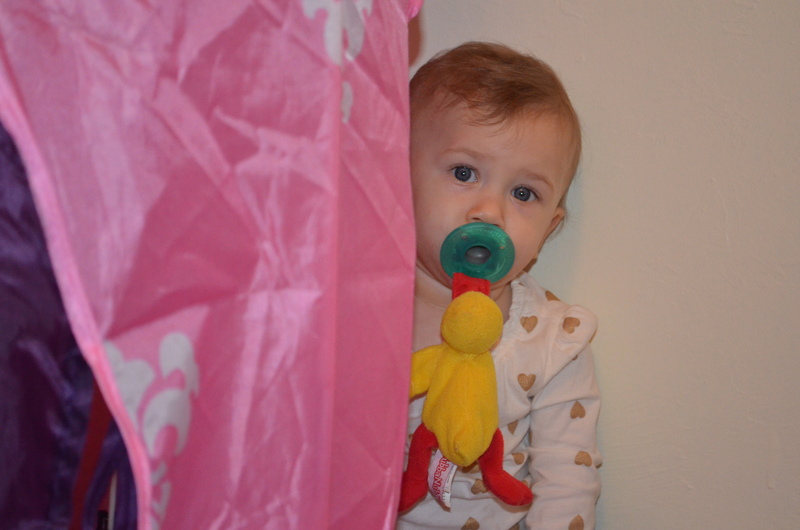 Camdyn – Cam is suffering from a bit of nighttime separation anxiety. Just looses it when I put her in bed at night only. I have been spending some extra quality time with her and rocking her, which makes me feel so guilty watching the others look at me. But, I know each of them will go through their own phase and I will make up for it in time. Camdyn I believe will very detail oriented. She is so precise when she patty-cakes. Its like a golf clap! She still opens her mouth so wide when she gets excited or tries to talk. Still standing a little hear and there but when I encourage her to take a step she thinks about it and then sits down. 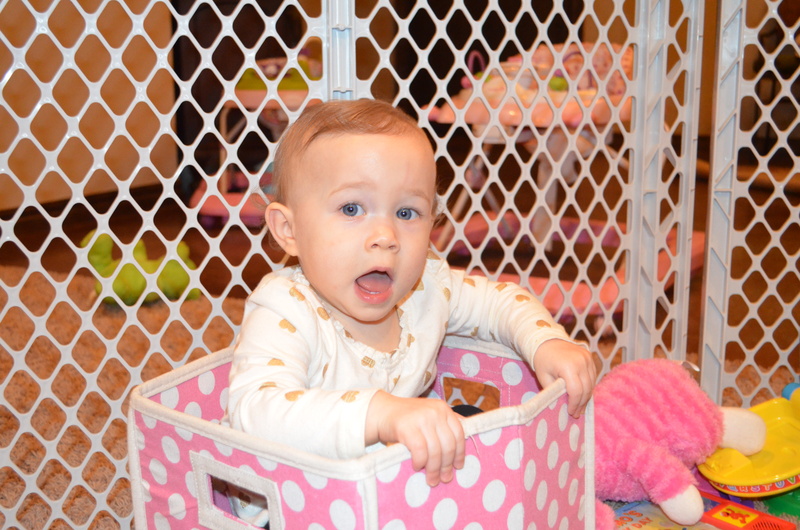 I think she will get tired of watching Avery roam and will take that step soon. She also loves lately crawling inside boxes. It could be the Huggies box, toy box and even boxes she barely fits in. But, she gets in and seems content so we just laugh and let her enjoy. I originally thought of her as my peacemaker but she is very vocal and will slap (not hard) her sisters and then look at me and shake her head. She knows better! 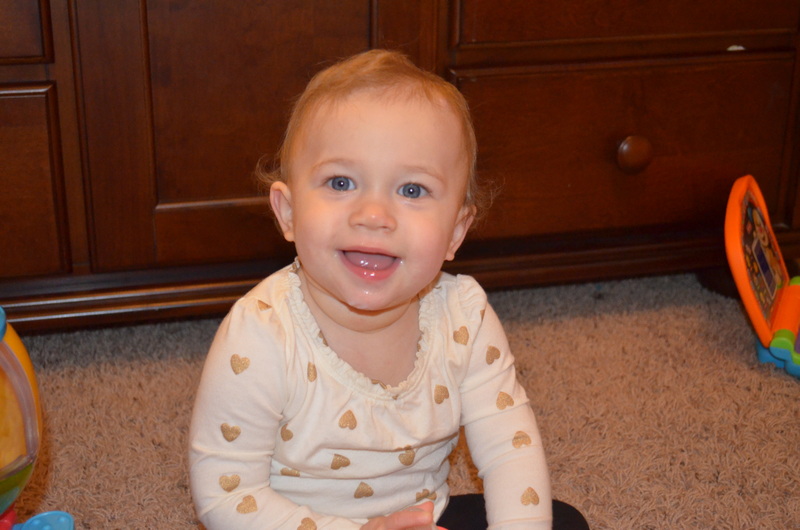 Emily – Oh my little Emmie Bear. She has really caught up to her sisters weight wise and activity wise. 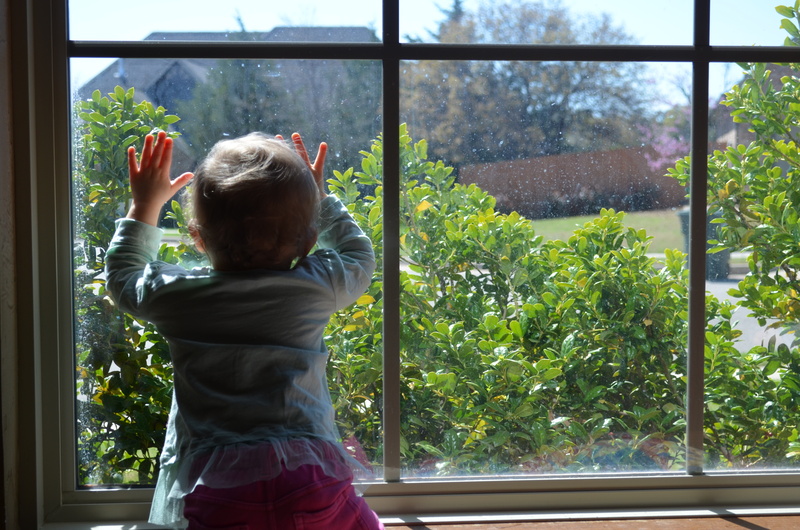 Her favorite thing right now is looking out windows and making the gesture over her mouth and yelling like you would as an Indian – “Wa Wah Wa Wah.” Em is still not standing but is a pro at cruising and standing up on toys. She loves her big girl chair and watching Elmo or TV for that matter. I have to watch whats on Dr. Phil in the morning because sometimes I see her paying too close attention. Haha. She may be my one who “Tells it like it Is!” Haha. She still loves to come sit in your lap and LOVES her tent. She loves to peek out of it to make sure you are looking at her. Well, that is my quickie update for now. We are about to put our house on the market in the next four to six weeks so we have been busy making lists of things that need to be done around here. It has been a wonderful home but as you know we have more than doubled our family size in the past year. We are going to be building a home in our same neighborhood and start construction in the next month. This is a great neighborhood and it a perfect place for families with kiddos.